TORONTO - Ontario's Liberal government is delaying plans to ban vaping and the use of electronic cigarettes in public places. 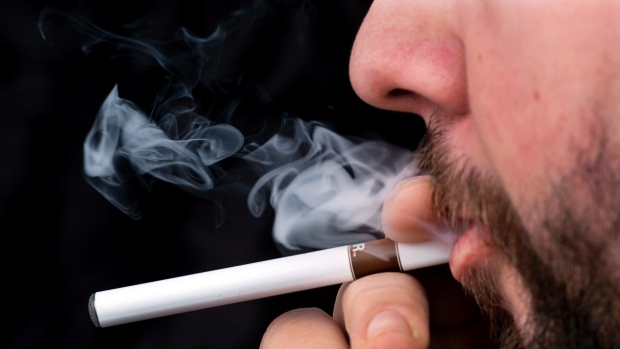 The ban on e-cigarettes in public spaces and workplaces was supposed to go into effect Jan. 1, but Associate Health Minister Dipika Damerla says it will be delayed until later in the year. She says the ban on selling e-cigarettes to minors under the age of 19 will go into force Jan. 1, but not the regulation limiting where adults can and cannot use them. The government promised to review regulations around where marijuana can and cannot be vaped in November, just one day after an exemption for medical marijuana users to the vaporizing law came to light. Damerla says the government has decided to bring in all the regulations around vaping at the same time, which is why the ban in public places is being delayed. Until the ban is enacted, employers and restaurant owners can still ban medical marijuana users from vaporizing on their premises.